SVYM has grown from a small organization to one that has more than 600 people working together in around 35 projects around Karnataka. From an ordinary weekly rural dispensary in 1984 to working in sectors as diverse as health, education, community development, human rights, women’s issues, micro-finance, livelihoods, training, research, and advocacy – we have indeed come a long way. All this would not have been possible but for the extraordinary men and women who make up ‘Team SVYM’. Each person in SVYM has his or her own reasons to be here. For many of them, it is the concept of National Service and making a difference in someone else’s life. For a few others it is a journey of self-discovery. Like Gandhi said, many of us would like to find ourselves by losing ourselves in the service of others. For a few others, it could be a career in the development sector. Whatever the reason, I find that each one is special and is a source of inspiration in different ways. A few days ago, I was with a group of people who work in different projects in and around Mysore. We were spending two days re-looking at our work and strategizing what we needed to do in the coming year. The conversation was around what inspired each of us to take on this kind of work. Ramya, our soft-spoken nurse in the palliative care program hesitantly shared her story. As a young girl, she was the darling of her family and had very little domestic considerations to worry about. Having lost her father early in her life, she was doted on by her mother and elder brothers. She loved children and dreamt of becoming a teacher and was keen on doing her Diploma in Education after her PUC. Fate had willed otherwise and she ended up joining a nursing program instead. 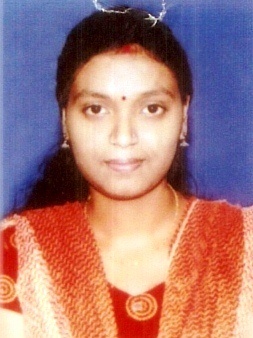 During her holidays while studying nursing, she was visiting her family in their village in Kodagu. The family had just finished lunch and she was preparing herself to return to Bangalore, when her mother suddenly asked her if she could cook for a couple of guests who unexpectedly arrived at their house. Ramya managed to concoct some excuse and decided to go visit some of her friends instead. After spending some time catching up with them, she was returning home when she heard painful moans as she was passing the village temple. Going closer, she noticed a frail and elderly lady groaning in pain. The lady was obviously in terrible discomfort and her clothes were soiled with urine and faeces and the foul smell emanating from her was nauseating. Ramya’s heart went out to this old woman and she ran back home. She hurriedly packed the fresh food that was prepared for the guests and carried back some old clothes along with her. She returned to the temple and cleaned up the lady and dressed her with the fresh clothes and fed her the hot food that she had brought. Gathering her strength the old woman blessed Ramya and told her that God would surely find a way of returning this favour. Ramya returned home and got busy with her packing and left for Bangalore. The bus she normally took arrived in Bangalore early in the morning but would go via the hostel where she stayed. This was very convenient for her, but unfortunately on that day the bus was diverted due to some road construction work. This meant that she arrived in Bangalore at 4 in the morning and it can be an intimidating city for a village lass at that hour. As she stood anxious and frightened, unsure of what to do, a middle-aged couple approached her and suggested that she come with them. Having no other option, she went with them to their home nearby. This kind-hearted couple were doctors and had a girl of her age studying dentistry in a college nearby. They took her home where she freshened up and gave her breakfast. Later they took her by their car and dropped her safely to her hostel. Ramya was overwhelmed by the hospitality and care that they showed her. She had heard horror stories of many a young girl in Bangalore and this was more than a pleasant surprise. Ramya is convinced that this kind couple more than compensated her good act of the previous day. This incident also left her thinking of the plight of the elderly sick. She resolved that she would not spend the rest of her life in a hospital or nursing home but would try and do something different. And what a difference Ramya is already making. She is the nurse incharge of SVYM’s palliative care program and she goes visiting elderly and sick patients all over the district. She tends to them lovingly and cleans them up, counsels and treats them. She has truly found her inner calling by losing herself in the service of these helpless people. It is people like Ramya that makes SVYM what it is. Ramya and her work is an inspiration for many of us. I am sure each of us will have our own narratives inspiring us to give up ourselves in the service of others and that is what makes each one so special. Next Article Can a few good men make a difference?